Thinking inside the box isn't necessarily a boring thing. 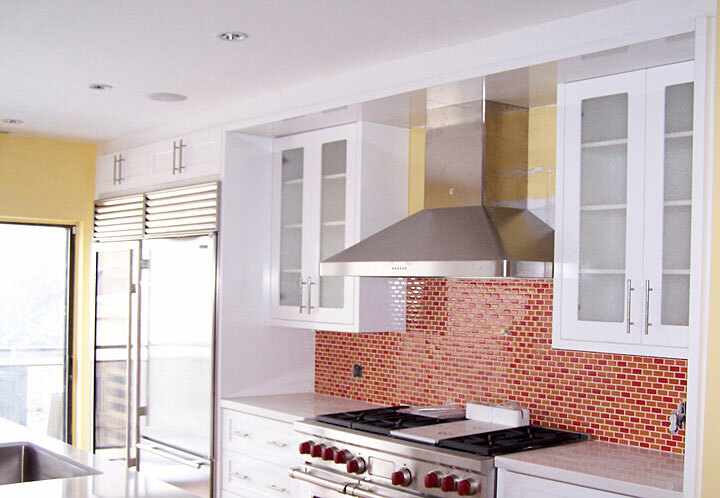 When you reface your existing cabinets, you need not compromise. The sleek look of these refaced doors with glass inserts, new handles make this refacing job look like a custom completed kitchen. Two additional matching cabinets were added over the new double-door fridge without the heavy price of replacing the entire kitchen.